A while ago the lovely guys at The Whisky Barrel were kind enough to send me a few of their exclusive bottlings in the form of wee samples (cheers, guys!). 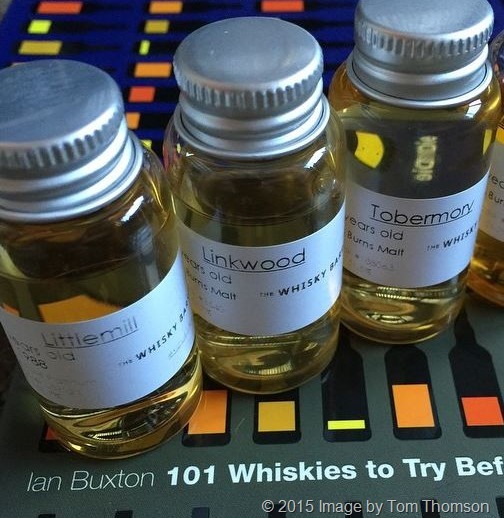 Today I am going to review 3 of them : A Littelmill 1988 , Tobermory 1994, and Linkwood 1990 . The first one is an Old & Rare exclusive bottling for TWB, whereas the other two are bottled under the “Burns Malt” label that is the house label for indie bottlings for TWB. Nose : Sweet fragrant vanilla and malty creaminess. Red apple peel and some pear. Wood shavings and some Coconut. Palate: A bit of alcohol burn on the palate at first which then gives way to apple, vanilla and wood with some pepper and cinnamon, quite creamy too. That’s a fine dram indeed, very good, with quite a bit of wood touches, for those who appreciate this sort of profile, I sure know I do. The only thing that bothers me is the price, which is quite steep for a 26 year old Indie. If you’re a fan of the style with deep pockets, you might want to consider this. Nose: Spicy wood and some wood spices as well as orange and oak. Dusty with a distant fruity note over ripe apple. Palate: Sweeter than the nose with big vanilla and syrup. Sweet spiced wood. Cinnamon and caster sugar. Lovely wood profile. Pepper and honey ginger. Finish :Spicy wood. Lemon. creamy vanilla and milk chocolate. Quite a surprise here, very nice stuff, and for under 60 quid, It’s really a steal IMHO. Go for it. well done guys. Palate : Deep sweet and spicy. 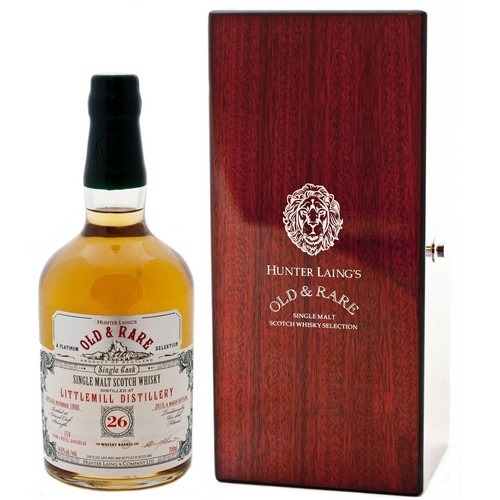 Wood spices and sweet syrup, touches of tobacco leaf, spices, and a sliver of citrus. Finish : Medium to Long, Citrus , oak. If I had to pick one, it would be the Tobermory, which offers a solid profile, nice palate and nose, and something quite interesting for a very reasonable price under 60 quid. Any of these is quite well made, although the 26 year old could be a bit cheaper IMHO… (but you know supply and demand, they do their own magic). I notice that you didn’t mark any of the whiskies tasted. Any reason for that?